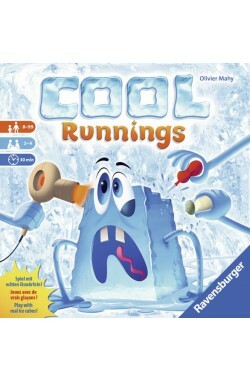 To play Cool Runnings, you'll need a dose of coolness and a freezer — yes, literally as the game "characters" are made of ice and you must create them prior to play. 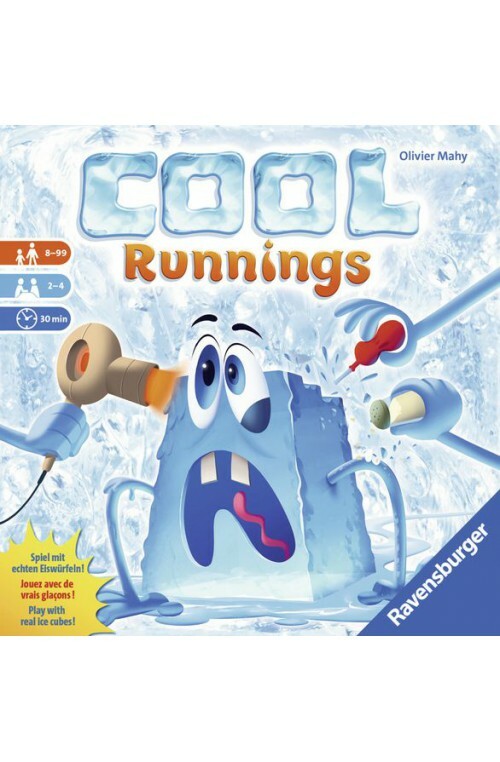 The winner is whoever brings their ice to the finish line first — or whoever still has an ice character in play while everyone else has melted away. 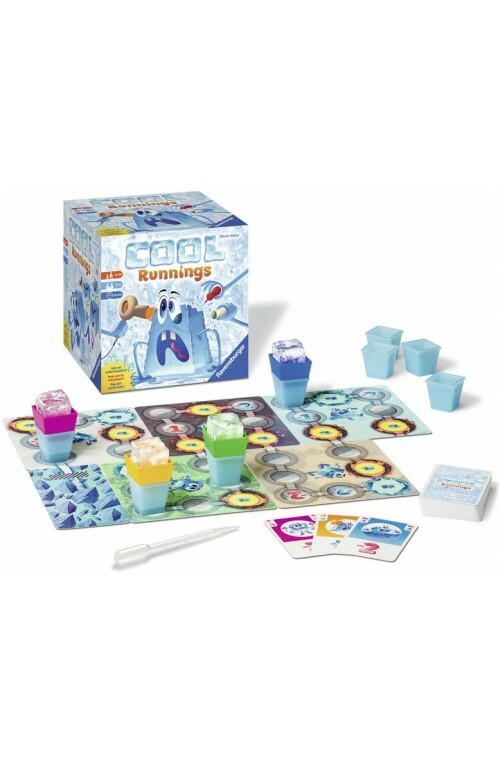 During the game — which is played on a modular, waterproof game board — players will attack one another with a pinch of salt, a water bath, or a simple hands-on approach in which your own heat can damage someone's character. If the defending player can play the same attack card as you, though, the attack bounces back on you!